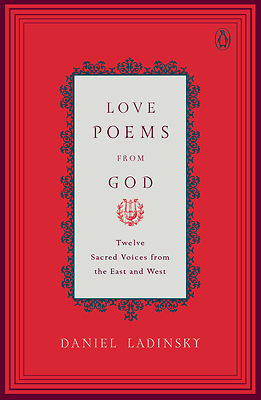 In this luminous collection, Daniel Ladinsky--best known for his gifted and bestselling interpretations of the great Sufi poet Hafiz--brings together the timeless work of twelve of the world's finest spiritual writers, six from the East and six from the West. Once again Ladinsky reveals his talent for creating profound and playful renditions of classic poems for a modern audience. Rumi's joyous, ecstatic love poems; St. Francis's loving observations of nature through the eyes of Catholicism; Kabir's wild, freeing humor that synthesizes Hindu, Muslim, and Christian beliefs; St. Teresa's sensual verse; and the mystical, healing words of Sufi poet Hafiz--these along with inspiring works by Rabia, Meister Eckhart, St. Thomas Aquinas, Mira, St. Catherine of Siena, St. Teresa of Avila, St. John of the Cross, and Tukaram are all -love poems by God, - from writers considered to be -conduits of the divine.- A spiritual treasure to cherish always.